Happy (Inter)National Puzzle Day, fellow puzzlers and PuzzleNationers! As I explained on Tuesday, today is a day dedicated to all things puzzly, and lots of puzzlers are joining the celebration! 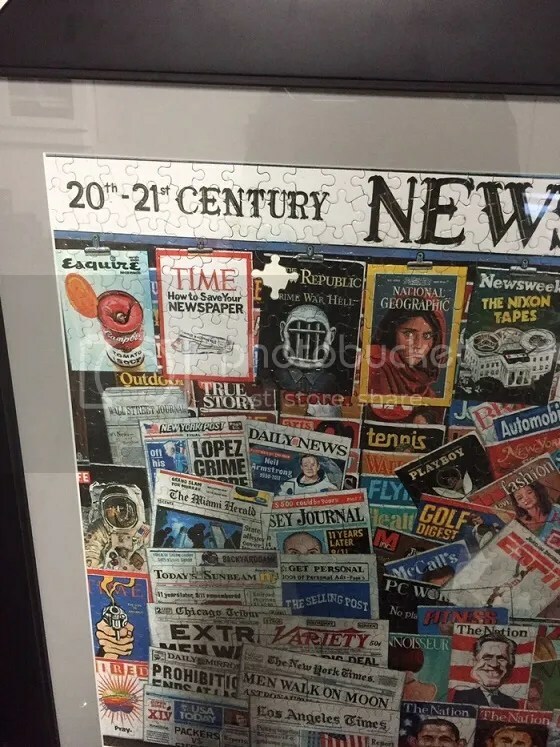 For instance, our friends at Penny/Dell Puzzles are running a timed Word Seek challenge and encouraging solvers to share pics of themselves doing the challenge on Facebook, Twitter, or Instagram using the hashtag #PDPPuzzleDayChallenge! And, in the spirit of the day, I thought I’d do a crowdfunding round-up of some of the interesting puzzly projects on Kickstarter right now. First off, I want to talk about Unspeakable Words, a Scrabble-style word-building game with a dash of H.P. Lovecraft. The game went out of print a while ago, and remaining copies have been in high demand since the game was featured on Wil Wheaton’s board game webseries TableTop. The goal is to print a deluxe version of the game (originally allowing for seven players instead of six, but with several stretch goals reached, they’ve expanded to eight! 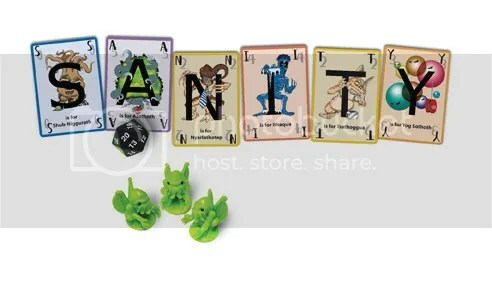 ), with additional stretch goals allowing for better game components. Now, this is already a Kickstarter success story, because the game funded the first day, so you’re guaranteed to see a finished game before it hits stores. 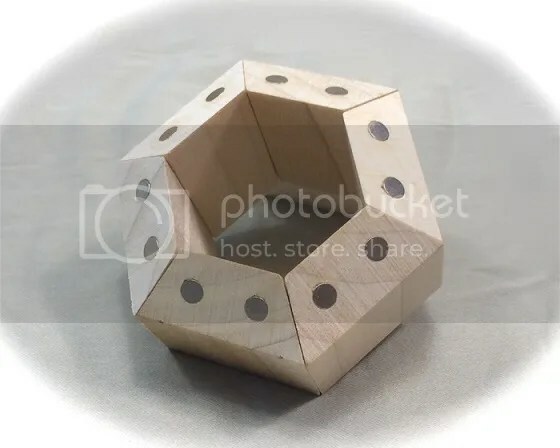 For a taste of something different, Facets is a wood-and-magnets constructing puzzle toy that allows you to make various shapes based on the Platonic solids. Whether you’re interested in 3-D geometry or just like wooden building toys with a twist, Facets is right up your alley. Facets has just crossed its funding goal with less than two weeks to go, and it looks like this might be the start of the next generation of Tinker Toys-style constructing toys. 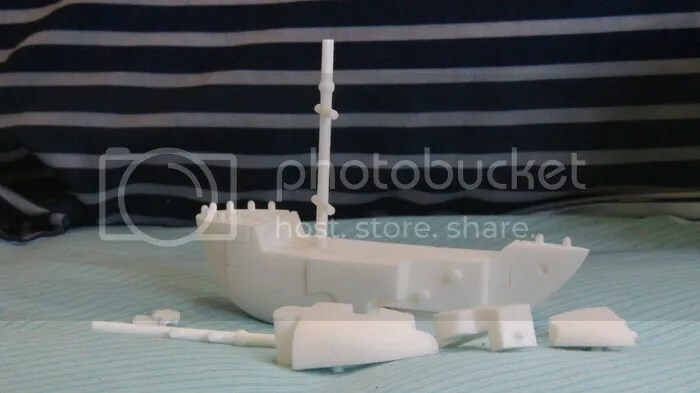 Now, there are a LOT of other campaigns I could mention, like the small 3-D printed puzzle ship (pictured above) or this campaign to make the fake game Cones of Dunshire from NBC’s Parks and Recreation a real Settlers of Catan-style game, but I want to focus on one campaign that’s using puzzles to spread a deeper message. Alyssa’s Puzzle Project is the brainchild of a young lady named Alyssa who is 12 years old and wants to educate the world — and her fellow students — about the dangers of moral and governmental corruption. So she’s created an awareness-building activity around a jigsaw puzzle, designed for classrooms and students to assemble together. It’s symbolic group problem-solving to raise awareness and spark conversation. You can read more about Alyssa’s project and her ambitious goals here. 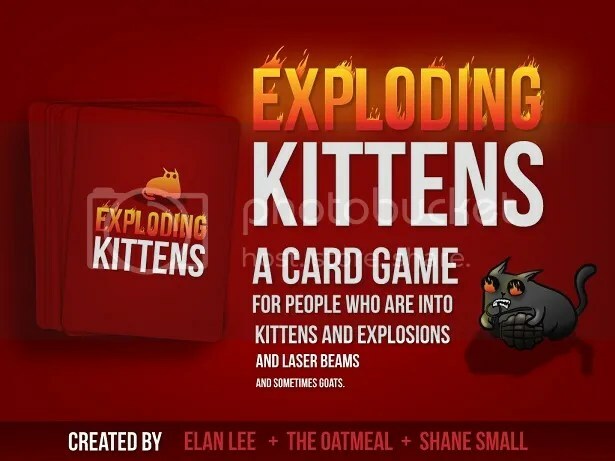 Finally, I would be remiss if I didn’t mention the phenomenal success of Exploding Kittens, a strategy card game that launched with a goal of $10,000 and has raised over 4 MILLION dollars in its first eight days. It is now the most backed Kickstarter campaign in history, with more than 100,000 backers, and the sky truly appears to be the limit for this card game based on art from The Oatmeal. I’ve been watching and funding Kickstarter and Indiegogo campaigns for a few years now, and I (and the rest of the world) have never seen anything like it. Did I miss any puzzly Kickstarter or Indiegogo campaigns you’ve seen launched recently, fellow puzzlers? Let me know!